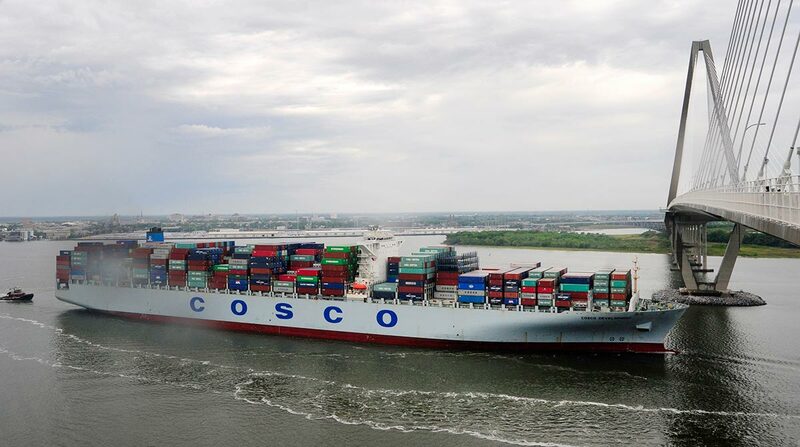 South Carolina ports topped an 11-year-old record for the 12 months ended June 30 by handling 2.14 million 20-foot-equivalent units of containerized freight, a 10% increase over the previous fiscal year, the state’s port authority said. The South Carolina Ports Authority, based in Charleston, said in a July 12 statement that the previous record for containers handled was 1.98 million in fiscal 2006. A best-ever volume for a June, 183,237 total TEUs for last month, helped the ports set the record. In June 2016, the level was 157,027 TEUs, making for a 16.7% monthly gain year-over-year. “Such growth enables the port to continue to make the necessary investments in equipment and infrastructure to support the big ships being deployed to the East Coast today,” port authority CEO Jim Newsome said. The statement also said the Greer inland rail port reached an all-time high in June with 13,060 lifts. The facility finished the fiscal year with a record 121,761 moves, an increase of 32.8% compared with the 91,698 lifts in fiscal 2016.